The President of the 70th Session of the UN General Assembly, Mogens Lykketoft. Credit: Lyndal Rowlands / IPS. UNITED NATIONS, Jul 29 2016 (IPS) - The President of the 70th Session of the UN General Assembly, Mogens Lykketoft, has helped spearhead a push for a more open and transparent selection process for the next UN Secretary-General. IPS spoke with Lykketoft one week after the 15 members of the UN Security Council cast their first votes in a straw poll to indicate which of the 12 candidates for the UN’s top job they support. The results of the informal initial vote, which took place on Thursday 21 July, were not publicly released, but were leaked almost immediately. Since the results were leaked, the straw polls only have a “formality of secrecy”, Lykketoft told IPS. On behalf of the 193 members of the UN General Assembly, Lykketoft publicly called for the Security Council to convey the results to the other UN member states soon after the vote took place. However Lykketoft also noted that the straw polls are an initial vote and that the positioning of candidates may well change, noting that new candidates may also emerge. “The real influence from the membership is now to express to their colleagues in the Security Council if they have preferences among the candidates,” -- Mogens Lykketoft. A second straw poll is planned for next Friday August 5, he added. However one potential further candidate, former Australian Prime Minister Kevin Rudd announced on July 29 that he would not be running, as he did not receive an endorsement from the Australian government. “We’ll try to arrange as quickly as possible, if a new candidate comes forward, the same kind of hearings that we have had with the 12 candidates,” he said. However while the informal dialogues have opened up the selection process for the next Secretary-General to the 193 member General Assembly, it is still likely that the UN Security Council will ultimately decide a single candidate to put forward to the assembly for endorsement. “The real influence from the membership is now to express to their colleagues in the Security Council if they have preferences among the candidates,” said Lykketoft. In addition to consultations with the General Assembly as a whole, candidates for Secretary-General had separate consultations with the 134 members of the Group of 77, as well as with the regional groups, which Lykketoft described as a “very useful” addition to the selection process. He noted that members of the Group of 77, which represents 134 developing countries at the United Nations including China, see development issues and climate change as priorities. 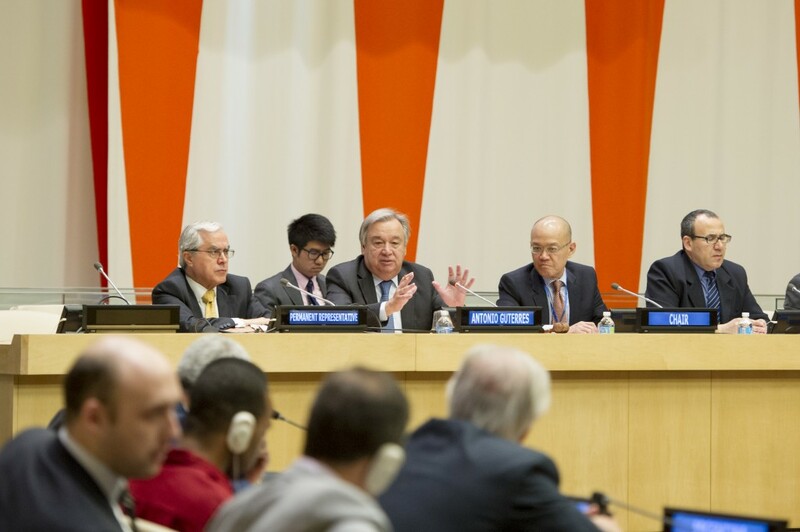 This was reflected in questions posed to the 12 candidates for the role of Secretary-General on behalf of the Group during the informal hearings in the General Assembly. Each of the 12 candidates also held closed hearings with the 134 members of the Group of 77 at the UN on 13 and 14 July 2016. Reflecting on his own role, Lykketoft touched on changes to the office of the President of the General Assembly. Fiji has been elected to hold the 71st Presidency of the UN General Assembly, when Denmark’s term finishes in September 2016. 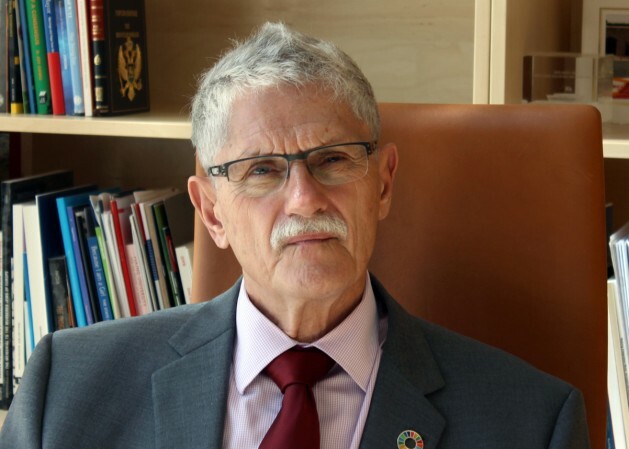 Lykketoft noted that as a Small Island Developing State, Fiji does not have the same resources to draw on to support the office of the President as other richer and bigger countries. The office of the President of the General Assembly relies on contributions from member states. Lykketoft particularly highlighted the importance of member states seconding staff to the office. “There’s been 35 people from 26 different countries working in the office of the President of the General Assembly, which is a very interesting and very well functioning operation,” said Lykketoft. Lykketoft said he hoped that more countries would come forward to help support Fiji’s Presidency. He also said that there is “a strong wish” in the General Assembly for the UN to provide more resources to the office, in particular to make sure that information is passed on and recorded between presidencies, he added. There are currently 12 candidates for the position of UN Secretary-General. They include former heads of state and high-level UN officials. According to leaked reports, Antonio Guterres, former Prime Minister of Portugal and former head of the UN High Commission for Refugees, topped the first straw poll, with Danilo Turk, former President of Slovenia, placing second and Irina Bokova, of Bulgaria who is currently Director General of the UN Educational, Scientific and Cultural Organization (UNESCO) placed third. Other candidates which received “encourages” from 8 or more members of the SC include Srgjan Kerim, of the Former Yugoslav Republic of Macedonia, Vuk Jeremić of the Republic of Serbia and Helen Clark, former Prime Minister of New Zealand and Administrator of the UN Development Programme. In addition to the push for the selection of the next Secretary-General to be more open and transparent, there have also been calls for the ninth Secretary-General to be the first to come from Eastern Europe or the first to be a woman.